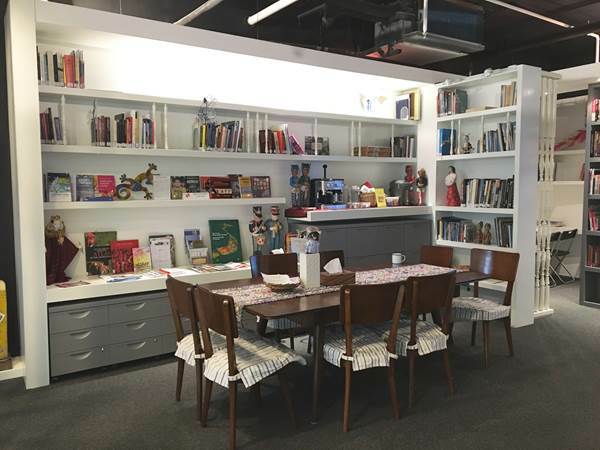 A Digital Revolution for Southeast Asian Women and Girls? Across the world, digital products and services are transforming work and lifestyles. Also in Southeast Asia, there is much talk of a digital society, in which individuals can access and interact with public and private services and information channels via digital technologies. These developments are expected to increase efficiencies, enrich lives and foster progress. At the same time however, awareness is rising that digital spread is not necessarily inclusive and may reinforce pre-existing divides, as not all groups and countries have the same degree of technological infrastructures and innovation prowess. Concerns are also rife about growing intrusions on privacy and safety risks. These challenges affect women and girls disproportionately since they have more limited access to digital media and ICT communities; are often discouraged from engaging with technologies; and when they do are at risk of becoming the target of online harassment. There is a need to foster an enabling and secure environment if they are to participate actively in the digital world and have the appropriate skills and protection to be able to employ digital media and other tools for their empowerment and well-being. The panel discussion on 17 October at 6PM will focus on the rights of women and girls to enjoy the benefits of technology while being protected from its dangers. Focus is on digital literacy for women and girls as an instrument to address gender bias in access and use of technologies, while also taking into account the longstanding culture, traditions, and policies that create a barrier to change. Taking the lead from a recent Web Foundation report, the panel asks whether access to the internet and digital literacy can support Southeast Asian women and girls not only to become “consumers” of digital services and media, but most importantly to empower them “to have a voice in spaces where this was previously denied, challenge gender norms, use information, participate in political and associational networks, and increase their economic independence”. Diana Mendoza, Co-founder and Editor of Women Writing Women (Philippines). 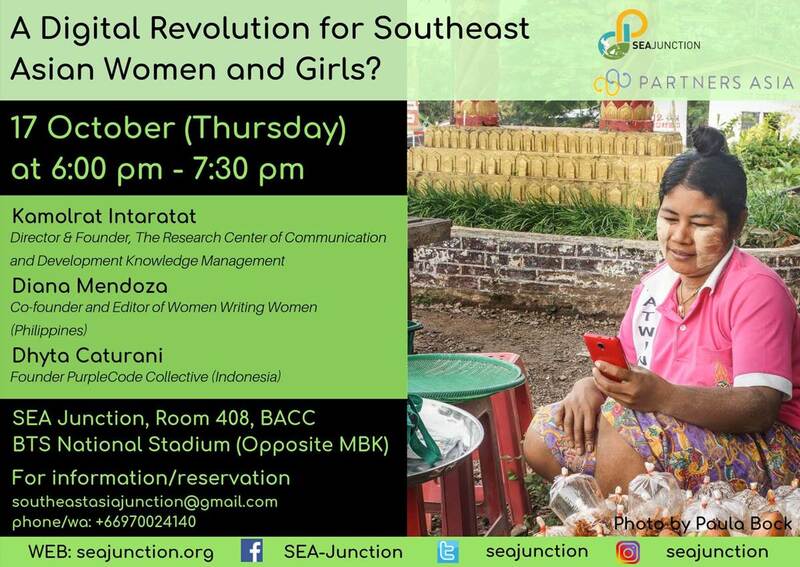 This panel is the first of a series of events focusing on various dimensions of women leadership in Southeast Asia in collaboration with Partners Asia (see below). The next event, planned for a couple of months from now, will take stock of women movements in the region.